SERVPRO of Northwest Ventura County - sharing important fire safety information for you and your loved ones. Taking precautionary measures reduces the risk of fire, injury, property loss, and even death. Fire safety is a very important topic, especially for children, the elderly and people with special needs. A fire can destroy everything in its path and devastate the people and communities it affects. Prevention – Do you have working smoke and carbon monoxide detectors? Are the batteries changed and the detectors tested every year? Is there a fire extinguisher handy? Can you operate a fire extinguisher? Escape Routes – Are exits accessible? Are the pathways to the exits free from clutter? Is there an evacuation plan in place? Are there pets that would need to be rescued? Treasures – Keep your valuables, special keepsakes, and heirlooms (e.g., jewelry, photos, etc.) in a fire proof safe or off site in a safe deposit box. Hoarding – Consider how excess belongings might make it difficult for people to leave their home and how these items might help fuel the fire. Mold in a crawl space in Venura, CA. Mold can grow by digesting and destroying the material the spores are on. Mold spores can be found almost anywhere and can grow on just about any material as long as conditions are right. 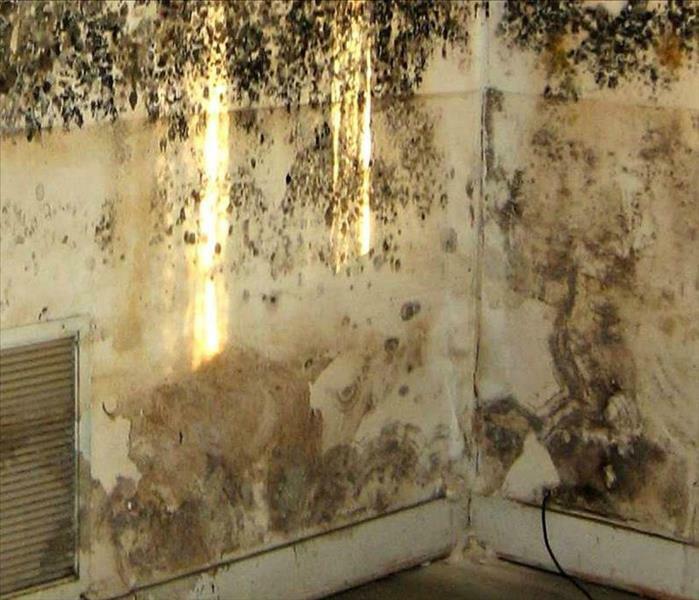 Mold needs oxygen, a source of moisture, and a boidegradable material to grow on. Molds reproduce by making spores. These spores can become airborne. If airborne spores land on suitable material and conditions are favorable, the mold will begin to grow within 48-72 hours. Even though mold spores can be found everywhere, they become a problem when they begin to grow indoors. Many building materials such as drywall, ceiling tiles, and wood framing are materials on which molds can and do grow. As molds grow on building materials they may become destructive rapidly. Molds may grow unnoticed for some time. They hide in & above ceilings, behind walls, in attics and basements or in crawl spaces. 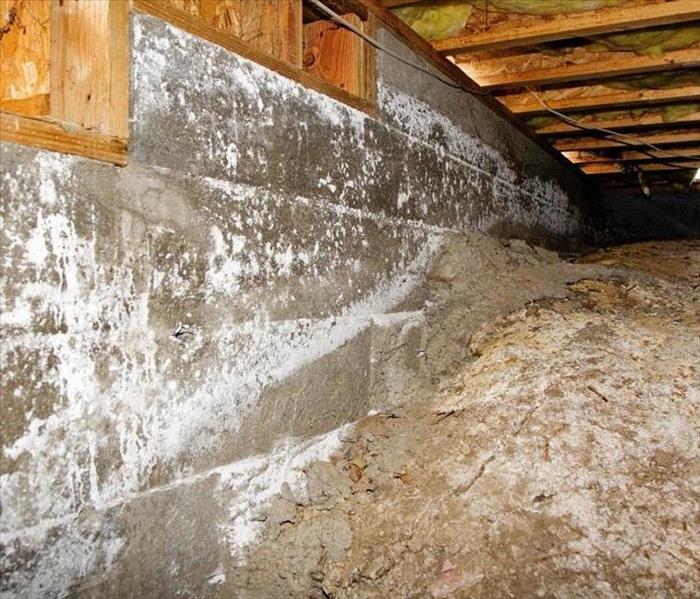 Molds can cause staining of walls and ceilings and can begin to break down the studs and joists of buildings causing extensive property damage. Excessive moisture is a key ingredient which causes molds to grow. Sources of excess moisture may be plumbing leaks, leaking appliances, roofs or windows, high humidity, flooding, or condensation inside walls due to poor insulation. SERVPRO of Northwest Ventura County has 24 years of Mold Remediation experience and knows exactly how to help get mold under control. Got Water Damage? Tips To Help! Do not enter water damaged areas without conducting a safety check. It may not be safe for you to enter or remain in the building. Water damage can weaken the structure of the building. If the ceilings are sagging, stay out. Be sure the electricity has been shut off. Submerged electrical appliances and electronics can cause electrical shock. Remove standing water, use towels to soak up smaller pools of water. 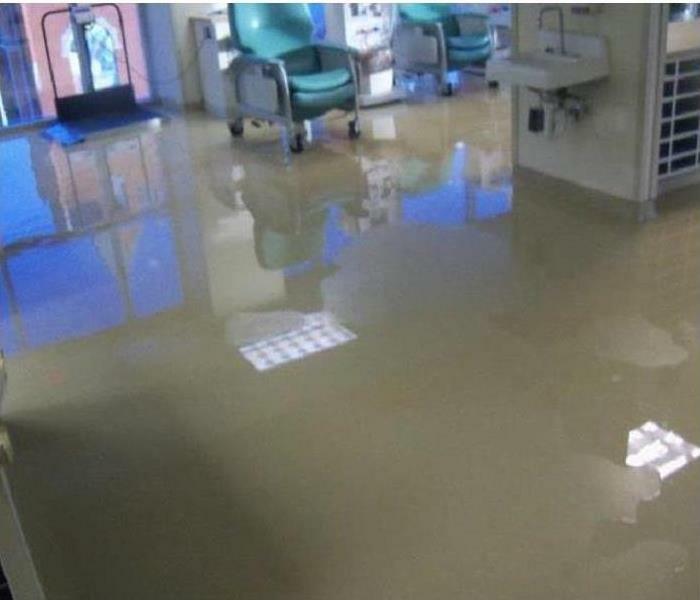 If the area is flooded with more than a foot or two of water, wait for a professional water damage remediation team like SERVPRO of Northwest Ventura County to arrive. Remove rugs and spread them outside to dry. Place aluminum foil or wood blocks under furniture legs to prevent carpet stains. When wood furniture is exposed to excessive moisture, the stain can transfer to the carpet leaving permanent marks. Remove smaller items such as books, toys, chairs, and other objects from the area. When in doubt, always call your local SERVPRO for advice or a free inspection. 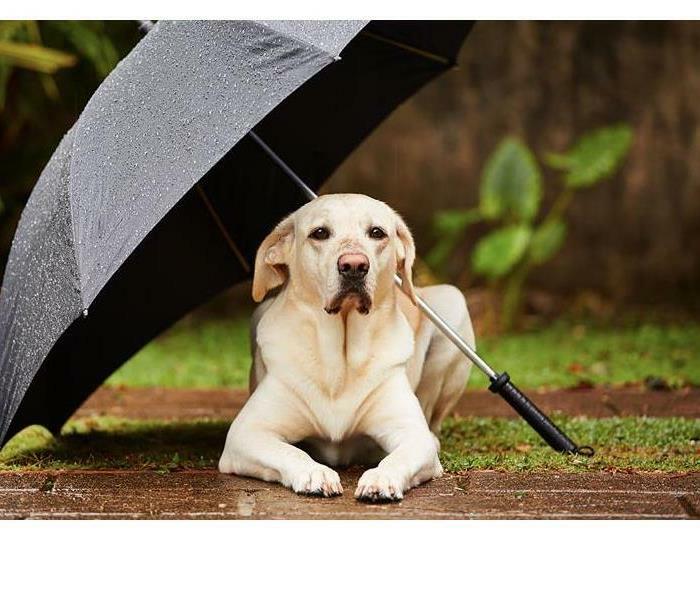 Did you know that 95% of dog and cat owners don't have disaster plans for their pets? Really? 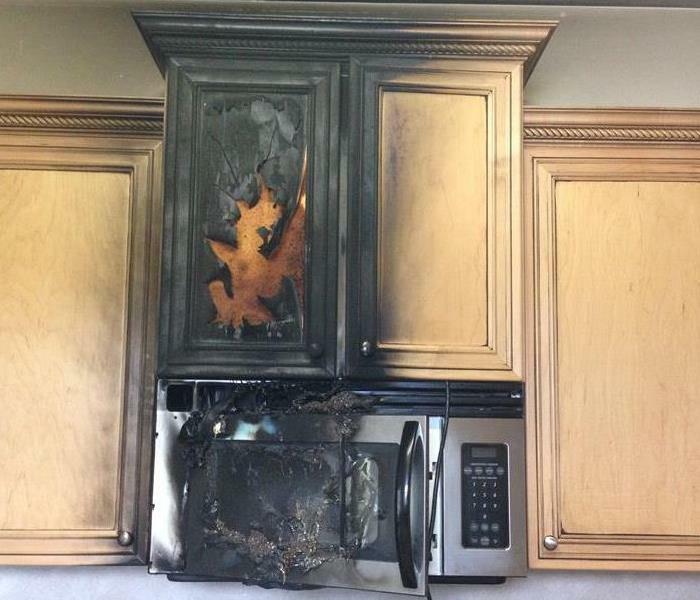 SERVPRO of Northwest Ventura County urges you - make sure this isn’t you! You might have made a disaster kit for you and family, so let's make one for your pet too. Include medical records and medication, food and water, can openers, leashes, blankets and pet carriers. Always keep pets inside during a storm. Animals easily become confused and can run away from home during a storm or other disaster. Arrange a safe place for you and your pets during evacuation. Do not leave pets behind. Store an emergency kit as close to an exit as possible. Make sure all pets are chipped and wear collars and tags. Place a rescue alert sticker in front of your home to let rescuers know that there are pets inside. Choose a caregiver to take care of your pet in the event you are unable to. Call us if you need us 24/7/365. Water damage needs your immediate attention! 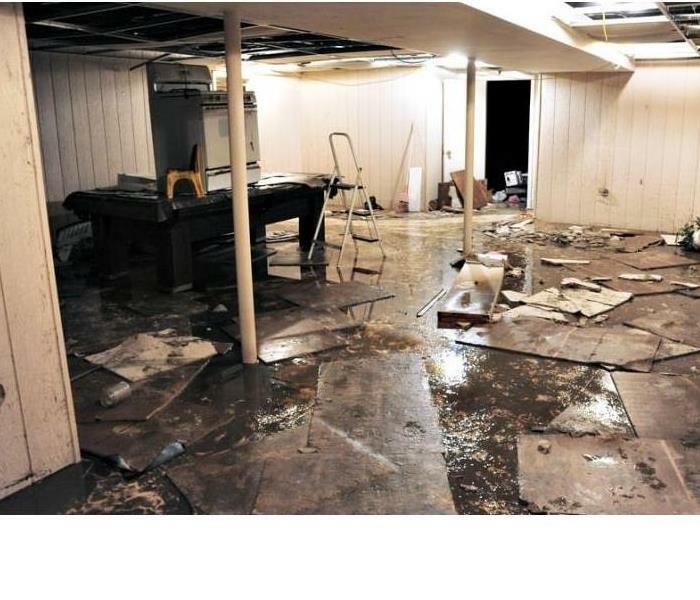 If any event causes water to enter your home or business property, the amount of damage may be hard for you to detect. Water can seep into areas you may not know about, like inside the walls, under baseboards, or in subfloors. To avoid complete and irreparable damage, trained restoration experts should inspect and begin water mitigation immediately. Within the first 48 hours mold could set in and cause even bigger problems. Stay calm so that you can think clearly. Tune into local communications if flooding is weather related. Call SERVPRO at 805-507-5507 as soon as you can. In the event of plumbing failure, close the water main or shut off the source of water so the flooding will stop. Then call a plumber. Shut off the electrical breaker and unplug or move electrical devices away from wet or submerged areas. Place aluminum foil under the legs of furniture to help prevent carpet staining. Remove papers, books, potted plants, or other items that are sitting on wet carpet or flooring. 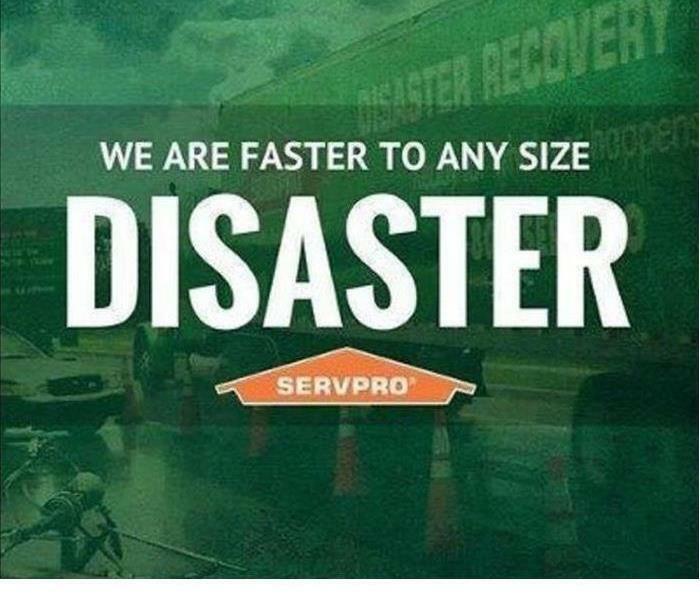 SERVPRO of Northwest Ventura County is available 24/7 to help with any size disaster. 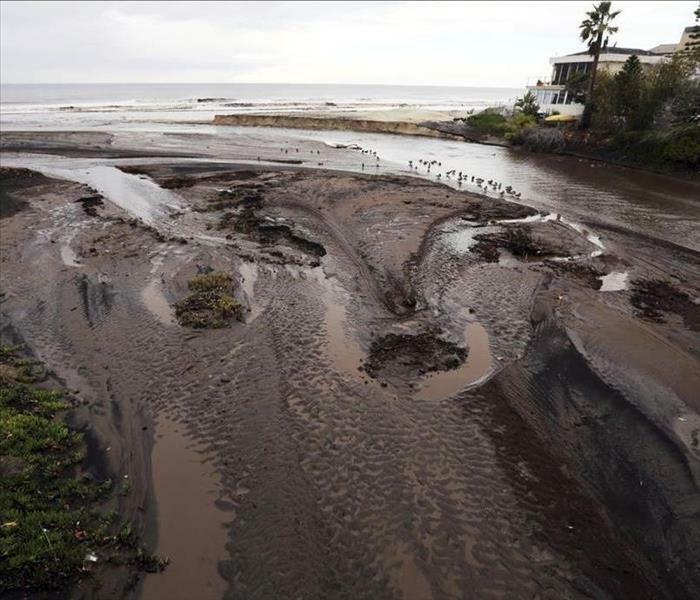 SERVPRO of Northwest Ventura County employees are truly experts in the cleanup and restoration industry. We are well versed in both commercial and residential property cleanup after a water damage, fire, or mold infestation. Our staff is continually trained in all kinds property damage restoration. 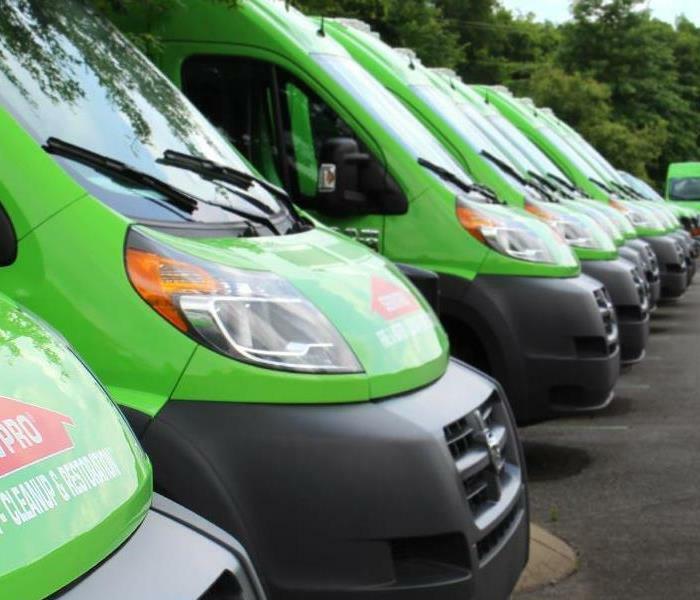 From initial and ongoing training at SERVPRO’s corporate training facility to regular IICRC-industry certification, you can be assured our staff is equipped with the knowledge to restore your property quickly. This is just the beginning for us as we will continue to learn and grow as new technology and equipment is developed. For 24 hour professional emergency services you can count on SERVPRO of Northwest Ventura County to make it "Like it never even happened." Securing your property with a board up is only the first step in this process. 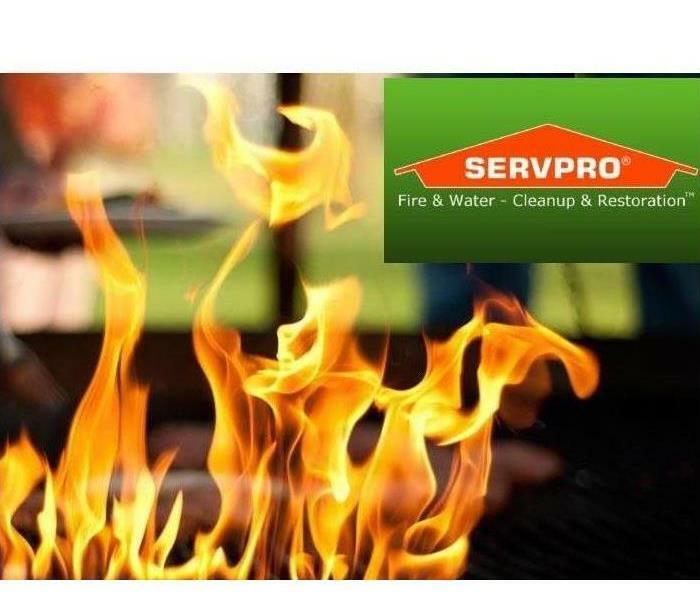 Proper Mitigation and Restoration, from highly trained technicians with cutting edge technology ensures you that SERVPRO of Northwest Ventura County has you covered. Whether is preparing your business ahead of time with one of our Emergency Ready Profiles (ERP) or having us programmed ahead of time in your smartphone. This simple preparation cannot be stressed enough. If your home or business has a mold problem, we can inspect and assess your property and use our specialized training, equipment, and expertise to remediate your mold infestation quickly. Step 2 : Inspection and Mold Damage Assessments. Step 5: Removing Mold and Mold infested Materials. Ventura, CA commercial property and business services are available to you 24 hours a day. Every hour spent cleaning up is an hour of lost revenue and productivity. So when the need arises for professional cleaning, debris removal, mold remediation, or emergency restoration services we have the training and expertise to respond promptly with highly trained technicians to get your property back to business. 4/8/2019 - Got Water Damage? Tips To Help! 4/8/2019 - Water damage needs your immediate attention!